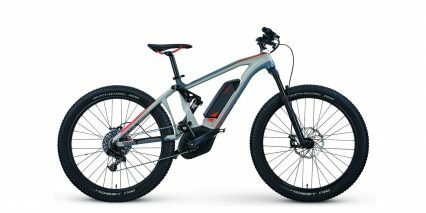 The IZIP E3 Path+ is the second iteration in the series. With the Plus, you get a smoother and quieter direct drive motor, improved cadence sensing technology that significantly enhances ride quality and an updated control console with cruise and four levels of assist. 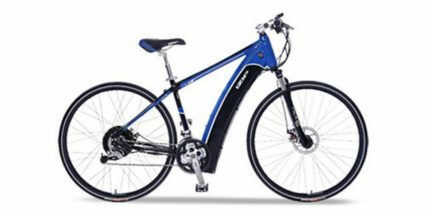 The original E3 Path looked similar and offered the same mechanical benefits as the Path+ (disc brakes, fenders, chain guard) but it’s just not the same bike. 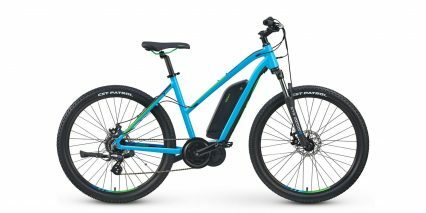 In my opinion this updated version is one of the most enjoyable ebikes in the entire IZIP line and perhaps the most beautiful. 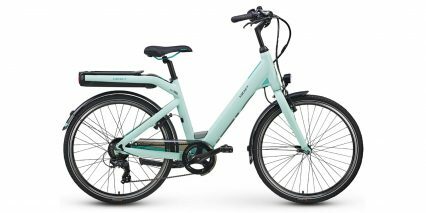 And, since it’s available in medium and large high-step as well as medium low-step you can dial in the fit which makes it more enjoyable to pedal and actually ride for extended periods. 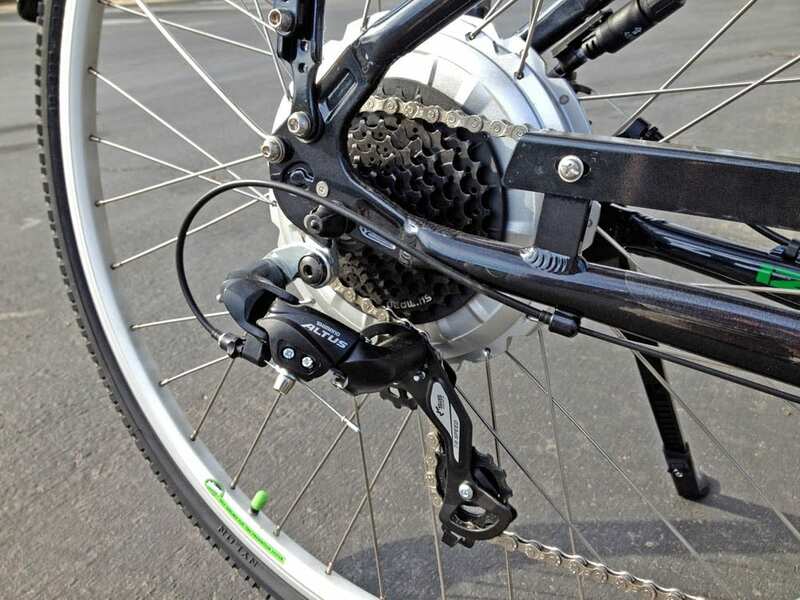 The motor on the Path+ is a direct drive (gearless) design offering 500 watts of power in a rear mounted hub. 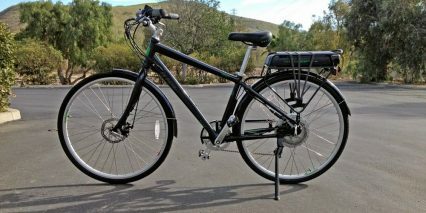 Compared with the smaller 250 watt geared motor on the original Path this thing is quieter, smoother and more durable. 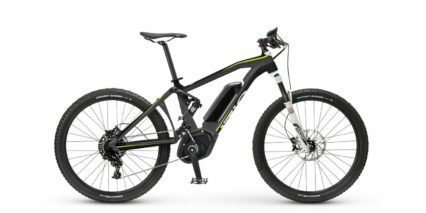 So ultimately this means it will be less obtrusive when riding (people won’t hear it) and it will last through many more years of use since there aren’t gears rubbing around inside. The only real drawback here is that the larger gearless design is a bit heavier. Further enhancing the feel of the new motor is an updated pedelec system that uses 12 magnetic cadence markers instead of just six. 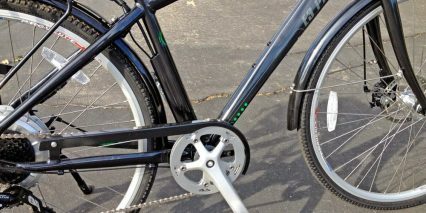 These little magnets are mounted to a plastic disc that resides at the bottom bracket (where the pedal cranks attach to the frame) and as they pass a sensor, the bike’s computer determines whether to activate the motor or not. With the old Path, you got fewer markers and more of an off/on feel that some described as jerky. This abrupt feeling was exacerbated by the geared motor that was strong at low speeds but less powerful overall. 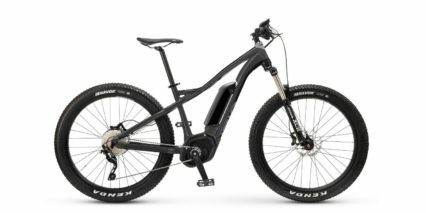 The new system leverages the additional sensors and updated firmware to detect both motion and speed so it almost feels like a torque sensor. 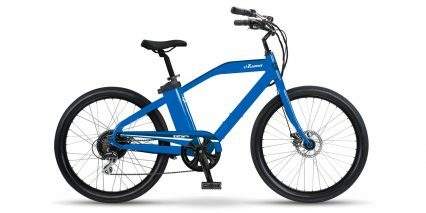 It’s really a blast to pedal with and makes pedaling fun because it’s so fluid and responsive. 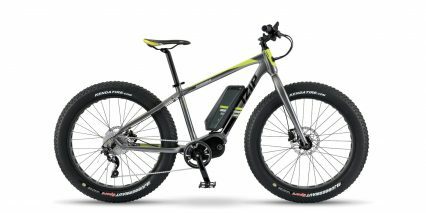 The battery pack on the IZIP E3 Path+ is nearly double the size of the old one, offering 48 volts of power and 8.8 amp hours of capacity. This is large by any standard and really surprised me when I first read the specs. 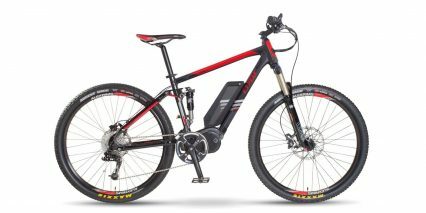 What I discovered is that the higher voltage pack is more efficient at delivering electricity and of course provides increased strength for climbing and accelerating. 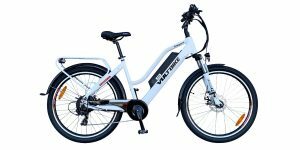 The pack uses high end Lithium Manganese Oxide cells from Samsung with a one year warranty and is still removable for easy charging on or off the bike. 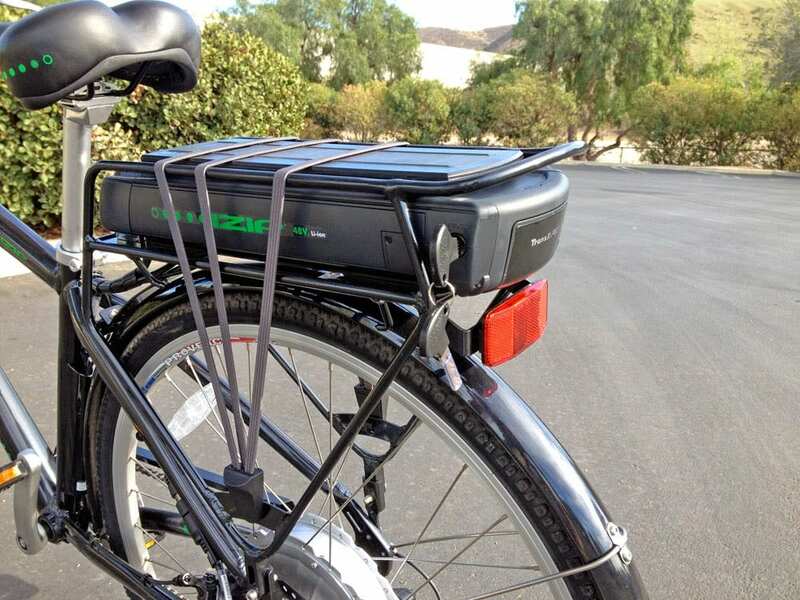 This also makes it easier to transport the bike because the pack weighs around seven pounds and is mounted in the rear, along with the motor. 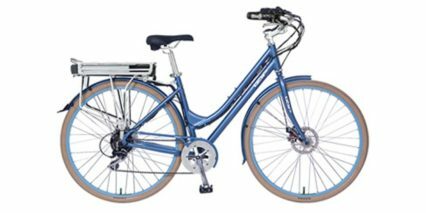 While I’d prefer a centrally mounted design that’s low versus high, given the price point of this bike and the functionality of the rack, it isn’t too disappointing. It’s also nice that they pre-wired the system for lights so you can add your own. The control console has also been updated and now includes a full multi-function LCD readout with speed, battery capacity, distance and estimated range. 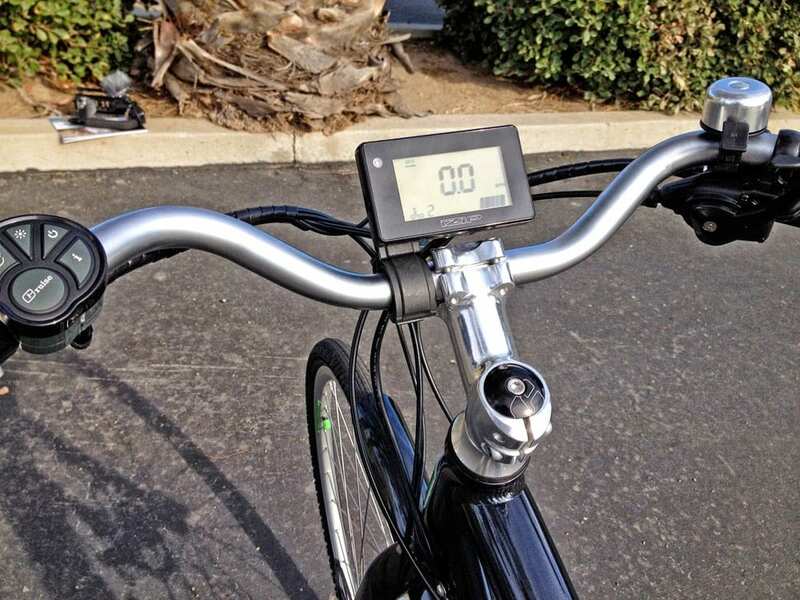 Even though the display is mounted at the center of the handlebars and is not easily removable, it’s easy to interact with because there’s also a control pad mounted near the left grip. You can choose from four levels of pedal assist as well as a throttle mode. When you are in throttle mode there’s also a cruise setting that allows you to lock in the speed and rest your hand. It’s all easy to use and designed to be dust and water resistant. Compared with the original Path that just had three LED’s to approximate battery level this system is a real upgrade. My favorite part is the range approximator that shows how far you can expect to travel in each mode. As I cycled through 1, 2, 3, 4 and T (for throttle) the estimated distance dynamically updated. 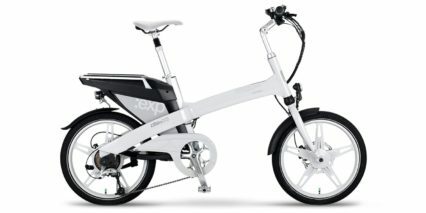 The IZIP E3 Path+ isn’t a perfect bike but it’s easy to fall in love with. 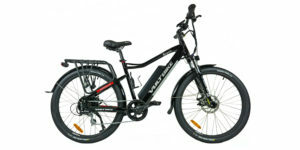 The ride quality is superb – not jerky but not slow, not perfectly balanced but enjoyable to pedal and easy to maneuver. 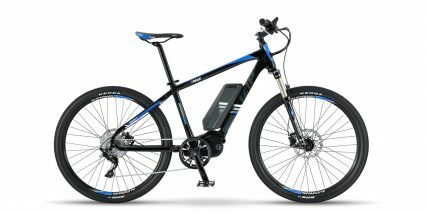 The updated pedelec sensor and firmware steal the show and really demonstrate how an electric bike should feel, like you’re in control but somehow stronger, faster and longer lasting than you could ever be on a traditional bike. The price point is great and while other IZIP bikes like the E3 Dash offer suspension and softer tires for navigating trails, the Path+ feels more responsive and offers superior utility for city-only riding. I rated the original Path as being good but this new model is so refined that even with the price increase, it’s by far my favorite. 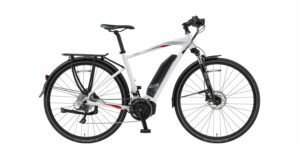 Hey Charlie, no the E3 Path Plus does not offer regenerative braking even though it uses a direct drive motor. 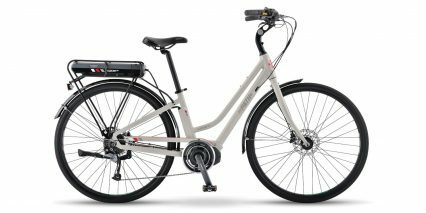 I was told it costs extra money to put those systems in place and that it really doesn’t offer much energy back so they decided not to do it in order to keep the bike more affordable. Hi, I really find your reviews very informative. 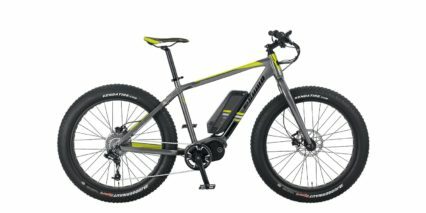 Would you also be able to do a review of the bikes going up hills? I have a very steep half-mile hill that I need to go thru for shopping errands, ect. The IZIP E3 Path+ Is right around the price I’d be able to afford, but am a bit worried about hill climbing? If you have done a video on a steep hill, maybe I can compare with what the E3 Path+ has, so I can make a determination of how it will respond. I wish a could tell you the incline degree of my hill, but I would not even know how to calculate this, sorry!! Thanks in advance, Bruce Towell. Hi Ted! Great question… I think it boils down to the type of riding you’d like to do. If you’re more active and plan to pedal along then the Path+ is great because the larger wheels and more aggressive body position (including the narrower seat) will be more comfortable. 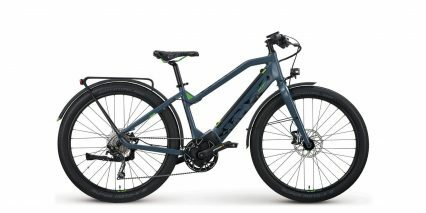 Alternatively, if you’re ride style is less rigorous and comfort is the focus then the larger seat, upright position and balloon tires on the Zuma would be a better fit. Both motors are strong and capable but the geared 500 on the Zuma helps to make up for its weaker battery. 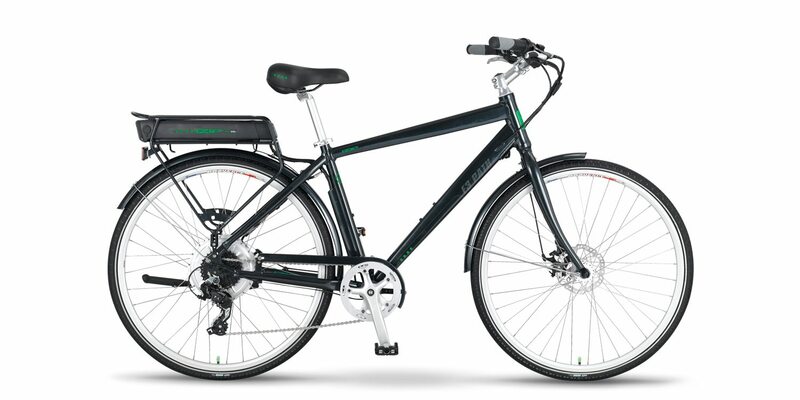 The direct drive on the Path+ gets a boost from its stronger 48 volt pack. Ultimately, the Path+ is a bit quieter and perhaps more durable since it’s gearless. 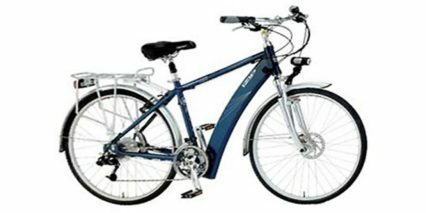 You didn’t mention your height but both models come in high and low step which should accommodate you well. 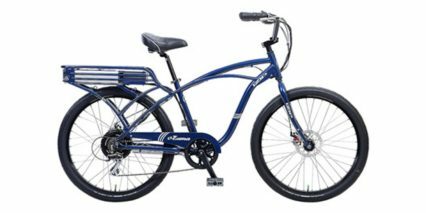 Both bikes are awesome and I would enjoy riding either, it might come down to your preference for the fenders on the Path+ or the style and colors of the Zuma. 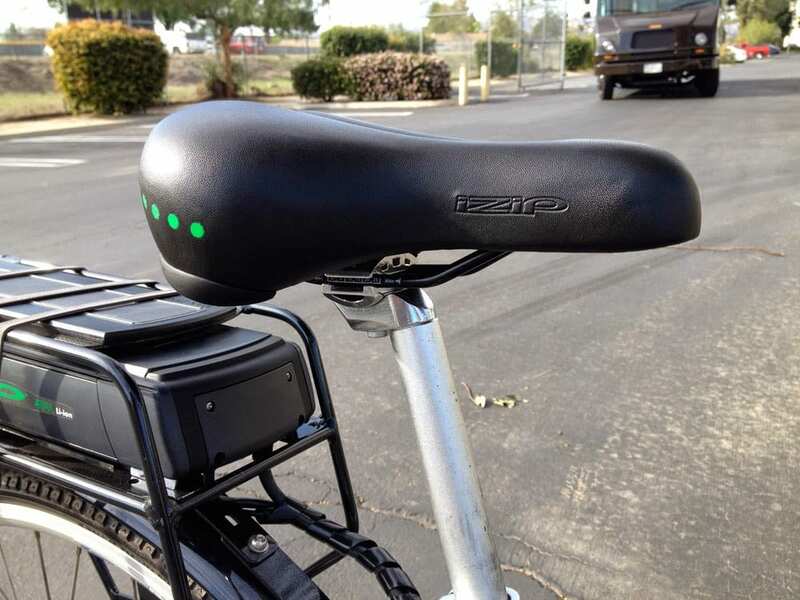 I really thing the biggest trade in terms of ride is the body position and seat design because when you pedal for extended periods of time the wider seat on the Zuma can start to chaff your legs. 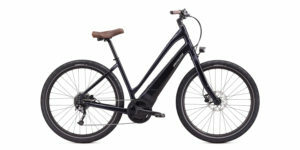 It’s meant to be a more relaxed cruiser style bike whereas the Path+ is meant for active city and urban riding. Greetings, Excellent review. I am deciding between E3 Dash and E3 Path Plus. Assuming the price difference is not a factor which one would you advise. I am 6’1 and weigh 175 pounds. I have a short 5 mile commute to work which I need it for. Would mostly use throttle since don’t want to get sticky by the time I get to work. 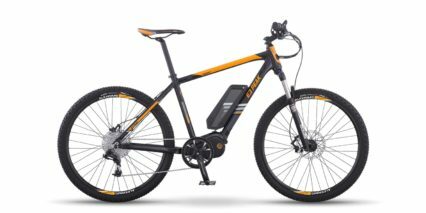 But I would like to use it for long rides on the weekend where I would mostly use pedal assist mode with minimal assist. 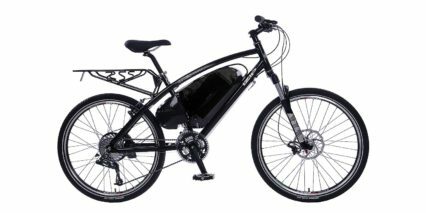 I would mostly use on paved roads so not looking to do much of off road use. From your review from looks and utility standpoint i.e. pre wired lights, fenders etc I like the path plus. But it seems to be 5 pounds heavier then E3 Dash. I normally carry my bike to the office. So need to put it in the elevator and get off the same . So need something which would be easy to carry around. 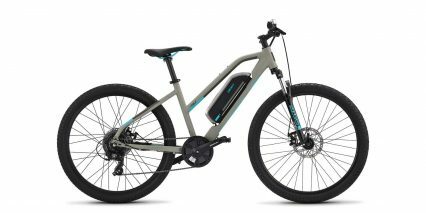 With Path Plus being a bit back heavy (both battery and motor in the back) in addition to being 5 pounds heavier is this a concern. I guess the same would apply to folks who want to put this on a bus or train ? Or is the extra weight in path plus not that noticeable ?. E3 dash does not have fenders so if there was slight rain then I would think that would soil my work dress with water lifting off the tires. 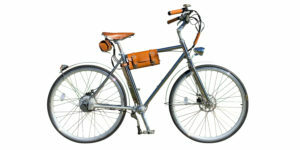 You really seem to like these Currie bikes, much better than the Prodeco. Are they really that much nicer, and why? Prodeco is assembled in the USA, and seems to get rave reviews according to Amazon. I’m thinking of something in the $2k range but I don’t want to throw money away. 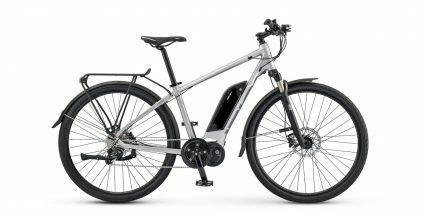 It seems that e-bikes should take off but there is no break out bike or company that is putting it all together as of yet, which is puzzling. 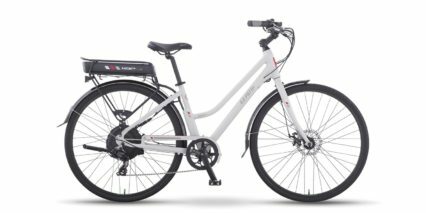 What the e-bike industry needs is their own “Tesla”. 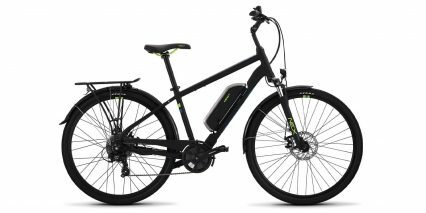 Most people can’t afford a Tesla, but if an e-bike manufacturer could offer the same quality as perceived in a Tesla for a reasonable price it would make a killing, IMO. 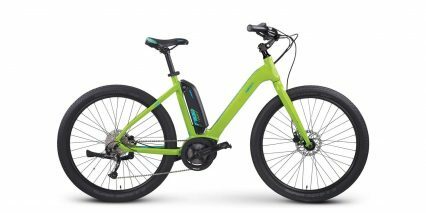 What is stopping it from coming, when will that e-bike get here? Your reviews are great, BTW! I wonder if they are unbiased, though. Great points! 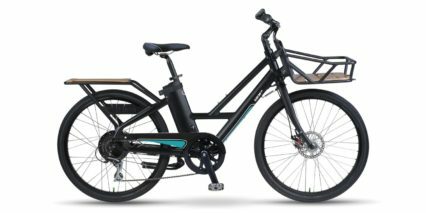 I’ve posted critical reviews for a lot of Currie electric bikes but the quality and designs have been getting much better (the Path+ is a great example). 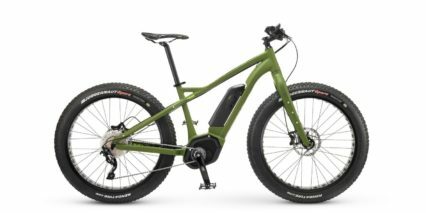 I just visited ProdecoTech headquarters in South Florida and reviewed a bunch more of their bikes… gave the Titanio 29er a 4.5 star rating. I try to be as objective as possible when reviewing… Some of what you’re alluding to is marketing. 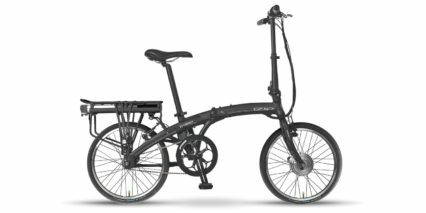 ProdecoTech assembles in the USA, along with Pedego, Motiv and many other brands (even some Currie bikes) but the parts are all made overseas. Be careful with Amazon reviews, check the number posted as well as the rating. 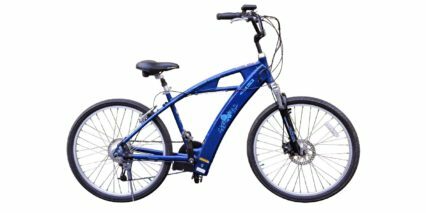 The eZip Trailz has a lower rating for example but so many more people have purchased and rated it. I think it gets diluted this way and also because it’s sold in Walmart. Hi Dan, good questions here. 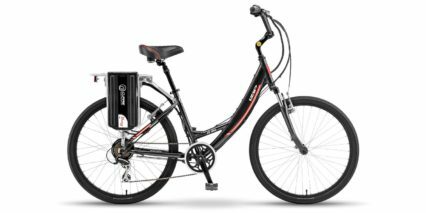 The Path+ and Dash are two of my favorite IZIP electric bikes and both use a nearly identical 500 watt gearless hub motor that is smooth, quiet and powerful. 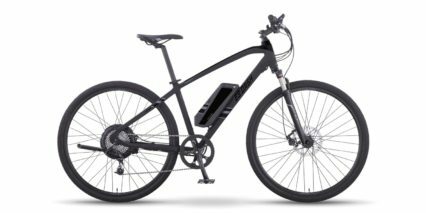 Both have the same button interface as well but the Dash is actually ~5 pounds lighter even though it has a suspension fork. 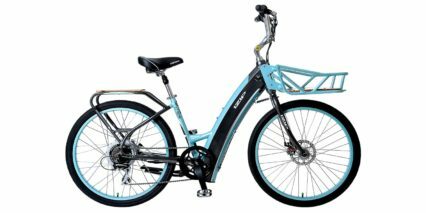 It also positions the battery low and center for better balance but you miss out on the bottle cage, fenders and rear rack. 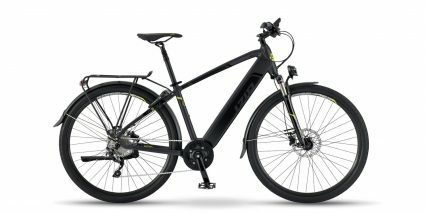 As far as I’m concerned they both ride very similarly in terms of how smooth the motor activates but the Dash will get you going faster because it’s a “speed pedelec” capable of reaching 28mph. This might be part of why it felt fast even on the lowest mode for you. If you put the Path+ in low then it might not get you going quite so fast. Both motors are going to take a moment to cut out but the dash might be a bit faster since it uses cadence, torque and speed sensors vs. Path+ which is just cadence. I am trying to decide between the path plus and fash. 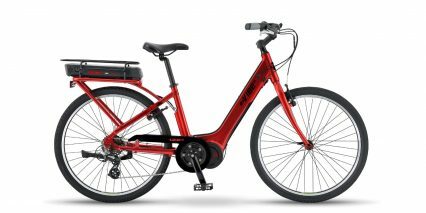 Mostly for commuting about 8 miles with several steep hills in Seattle. Could you help me answer these 3 questions? 1. 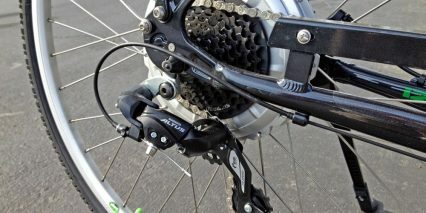 In your review you comment that the path plus cadence system feels nearly like a torque system and is smooth and responsive. 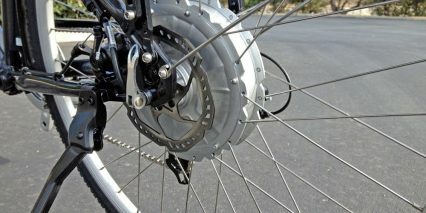 Is there really a significant advantage to the torque system on the dash for a commuter bike? 2. 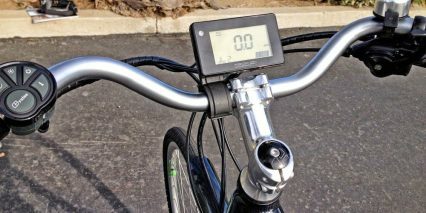 When I test rode the dash, I noted that in pedal assist mode, the motor kept working for a second after I stopped pedaling. This is a bit unnerving. Is this typical for the Dash or was that just the bike I had? 3. 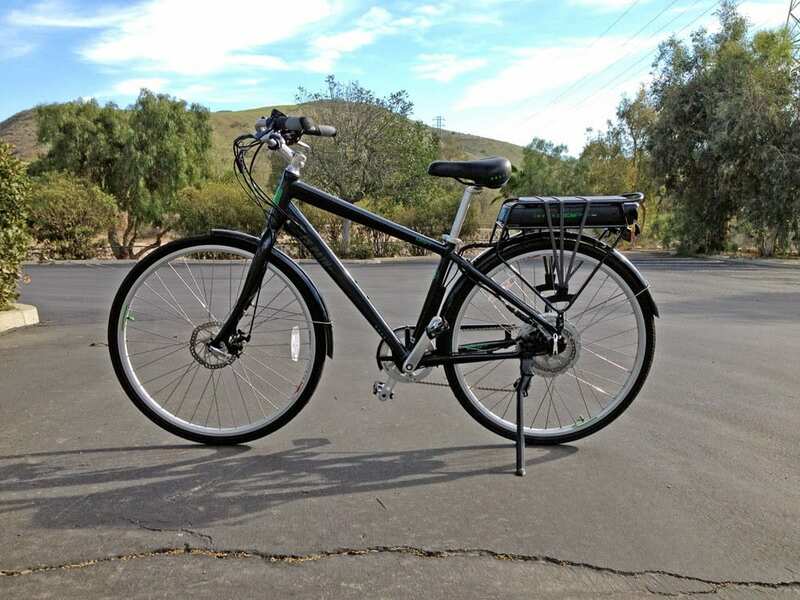 I will be riding in city and want to be able to ride at a bit slower speed than 18-20mph. It seemed as the Dash, even in pedal assist 1 wanted to push me along faster. Is there a way to modulate that aspect of speed (e.g. 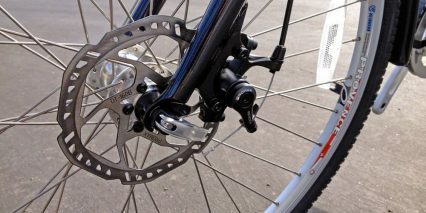 using lower or higher gears)? Or is that an indication that the path plus is a better choice than the dash for me. Court, You have done a phenomenal job of putting these reviews together. Based upon my commuting and recreational needs, your review, the price and test riding a number of ebikes, I purchased the iZip E3 Path+. Because of the powerful motor (500W), I mostly stay at level 1 assist so my range is just under 40 miles. Hi Michael! 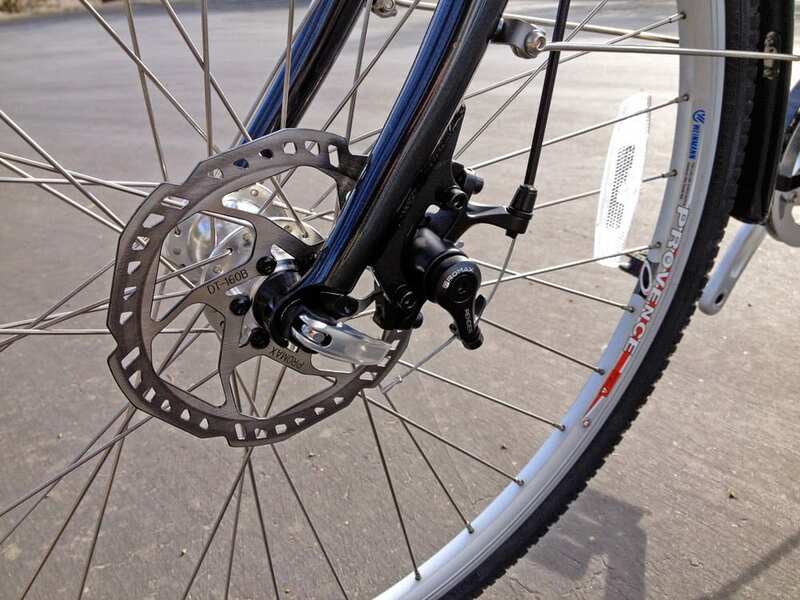 The slight resistance you’re feeling may be due to magnets cogging inside the motor. 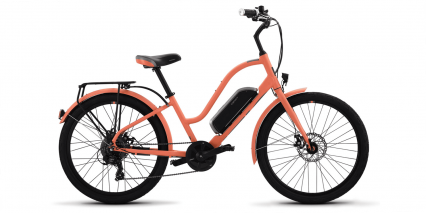 The E3 Path+ uses a 500 watt gearless motor (just like the E3 Dash) and these designs rely on a stater (piece of metal that is electrified) to repel and push the magnets positioned along the outside of the hub motor. When electricity is flowing in a specific way the motor turns and you get power but if you forcefully turn the motor when it is off or perhaps turn it faster when it is on the magnets no longer propel, they drag a bit. 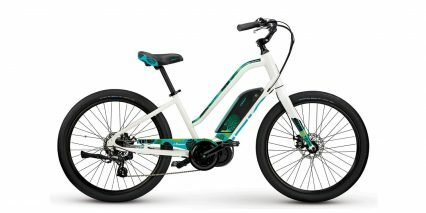 You can see this in some of the other reviews I post where I pick up the bike and spin the wheel with the motor and show it slowing down faster than it should based on the “repelling” inside. The video in this review is a good example. 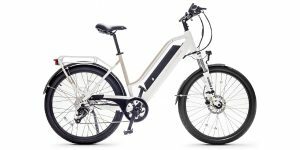 I just bought the izip E3 Path+. I have found your website to be very informative and helpful. 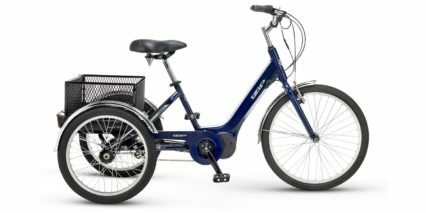 I am used to a comfort bike with larger tires and suspension, without any motor. On the Path+, I find that I feel every bump, even on pavement. As a senior, it would be nice to have a less jarring ride. Even the paved roads in Montana are quite rough. Would after market tires make much of a difference? Also an after market suspension seat? If so which would you suggest? 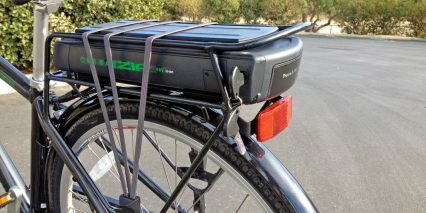 Also I would like to add saddle bags. Do you have any suggestions for gear storage? Hi Penny, thanks! 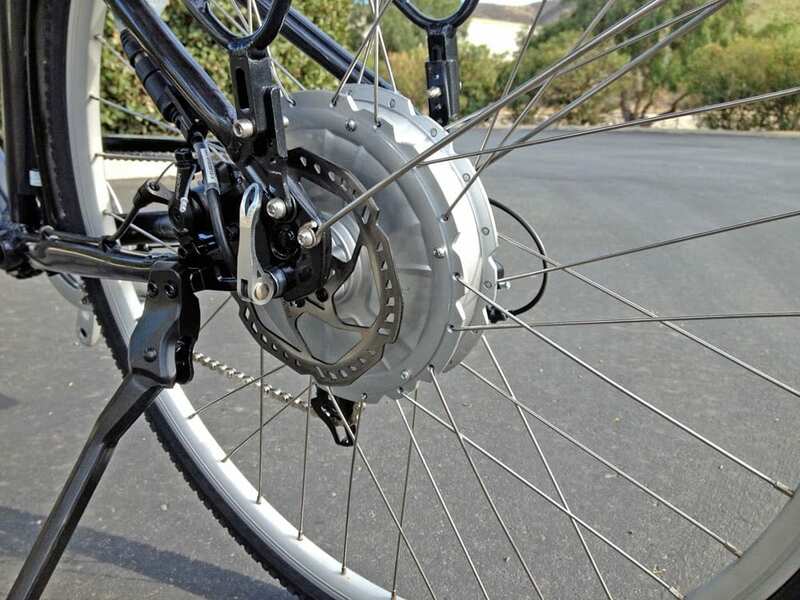 I know how you feel with the bumpy ride… While tires might make a small difference (especially larger ones that are filled less full) this will be expensive and decrease your range. 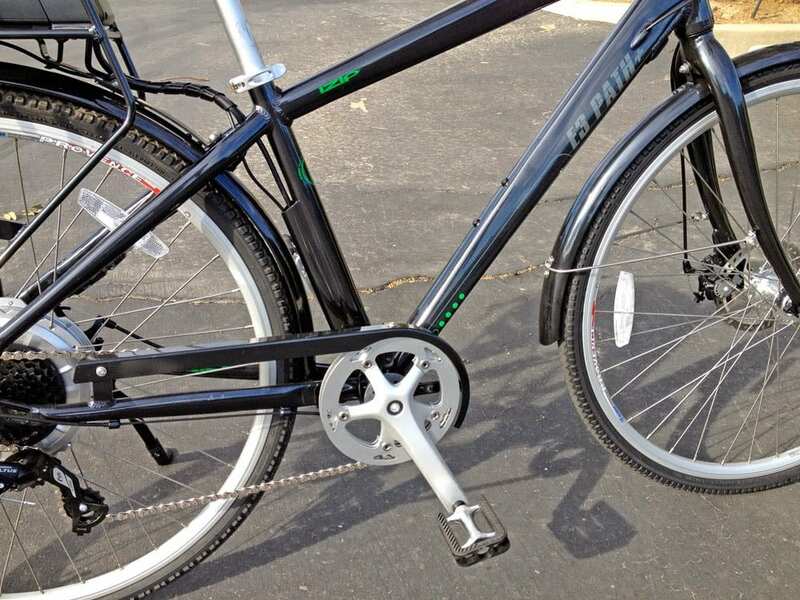 It might also be tricky to find the exact right tire size that’s larger but not too large to cause problems with the fork fit and you’ll probably have to replace the tubes as well. If I were in your position I’d look at seat post suspension like the Thudbuster. I’ve bought this one before and it helped a lot (just make sure you get the right diameter of post). I also had to make sure to really tighten the seat post lock and ended up buying a special locker from Salsa like this to keep the post from sliding down as it bounced up and down (again, check the size). Here’s a short video of the short travel Thudbuster I tested earlier this year. I hope this helps! 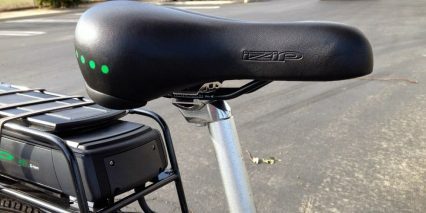 Feel free to ask more questions in the IZIP forum here about sizing and alternative seat post shocks.